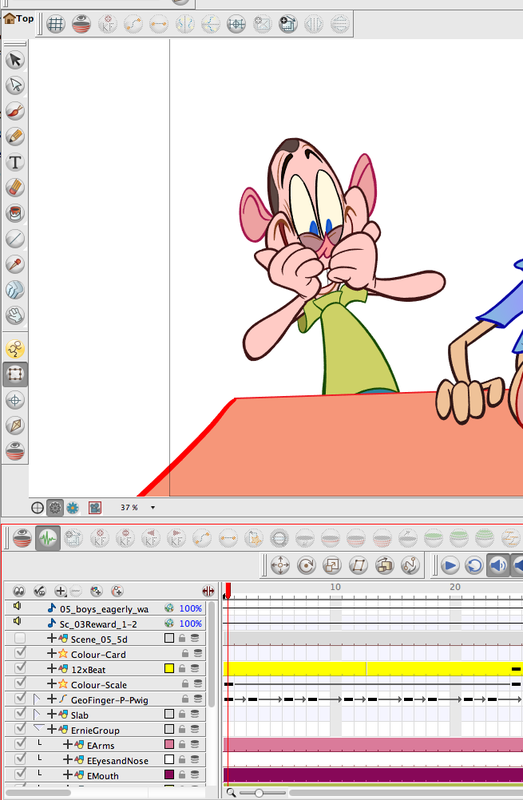 As I've said many times, I like Toonboom's animation programs better than Flash and other products - mainly for one thing - it has a a good brush and good paint fill tools. BUT - like many programs supposedly designed for artists, fundamental tools you need are clumsy and it takes too many steps to do basic things you need to do all the time. 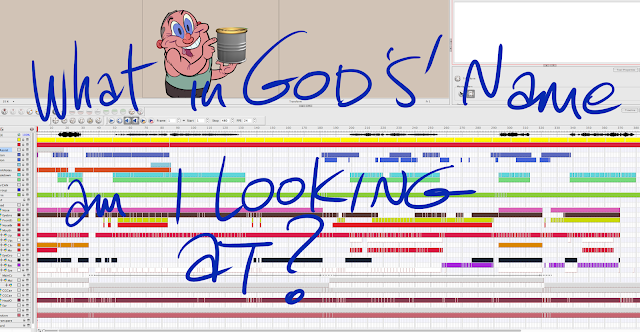 I spend 80% of my time digging through hidden menus to find the tools I need and scrolling through unreadable timelines and ex sheets to try to keep track of where I am in the scene. So my drawing and animating keeps getting interrupted by awkward technical flaws that could easily be fixed if the programmers would just listen to us. When I animate, I just wanna go straight through and keep the flow, it is very hard to stay focussed and creative with the constant interruptions that are built into the program. - starting with most basic of animation tools : the timeline. 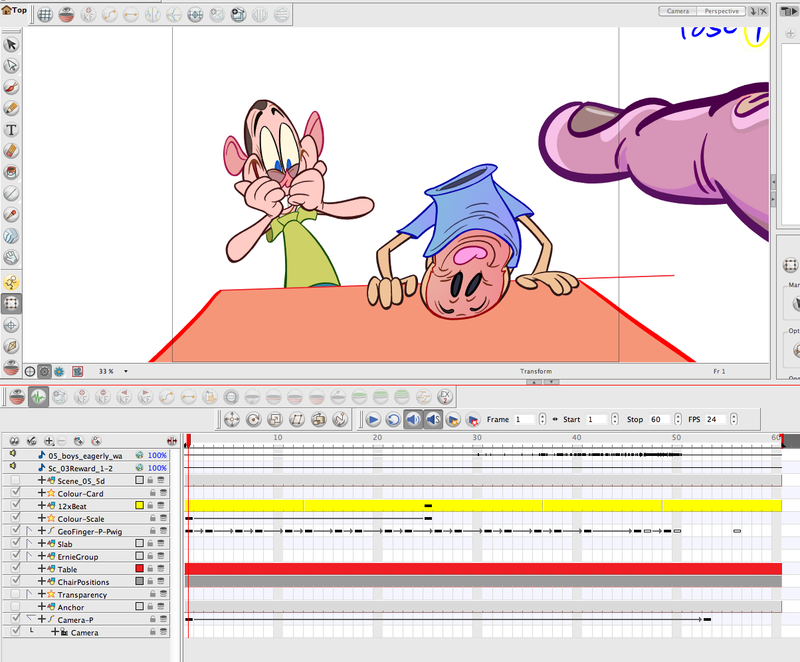 Right away you can see basic traditional animation guides missing from the timeline. 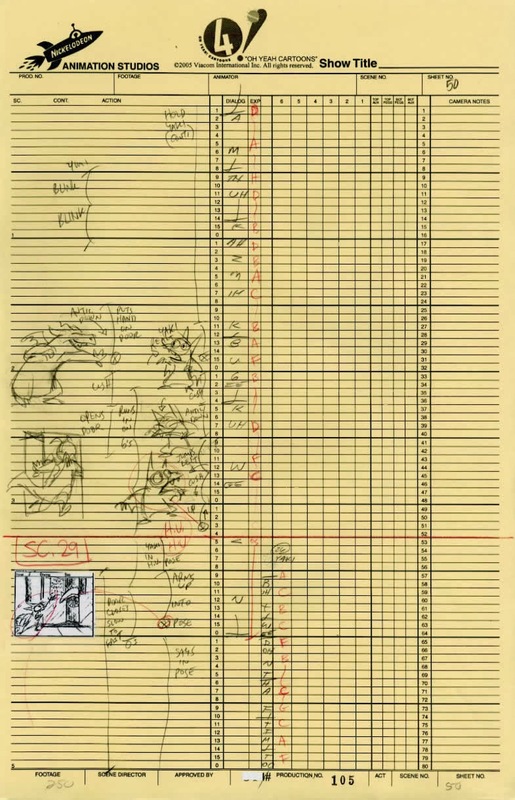 Here's a traditional exposure sheet or "dope sheet" that was used by all the greats and still used by animators and directors who like to plan the timing of their scenes. 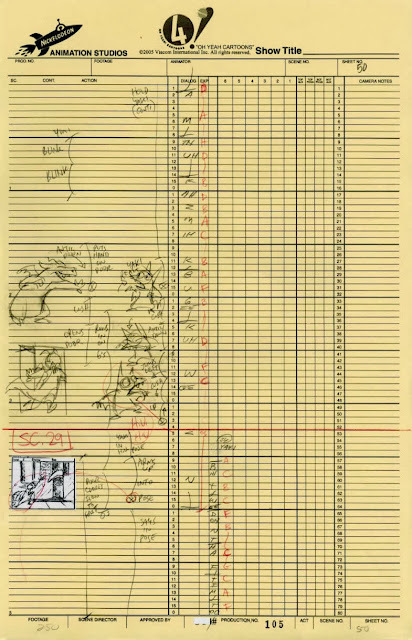 each frame of the cartoon is numbered in the vertical column. 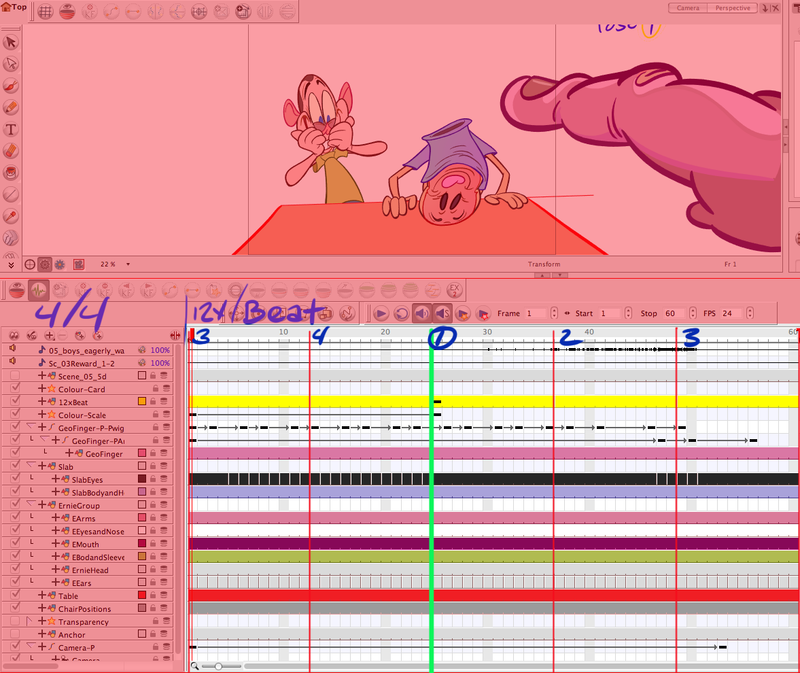 on the toonboom timeline and ex sheets. Directors and animators need to keep track of bigger increments than just individual frames. We think in terms of tempos or in seconds or in film feet. Just like composers don't write their music in individual notes..they use bar sheets so they can keep track of the structure of their compositions. They want to be sure that their tunes "add up" to the overall tempos. Here you can easily see that there are 4 beats in each bar. This bar sheet, like an ex-sheet is a measuring stick - a ruler. A ruler isn't just a long string of individual tiny increments. It's divided into Yards,feet,inches,half inches and on down to 16ths of an inch. You couldn't read it or measure anything if you had no subdivisions. Imagine if you had to calcute things like "137 1/16ths of an inch". 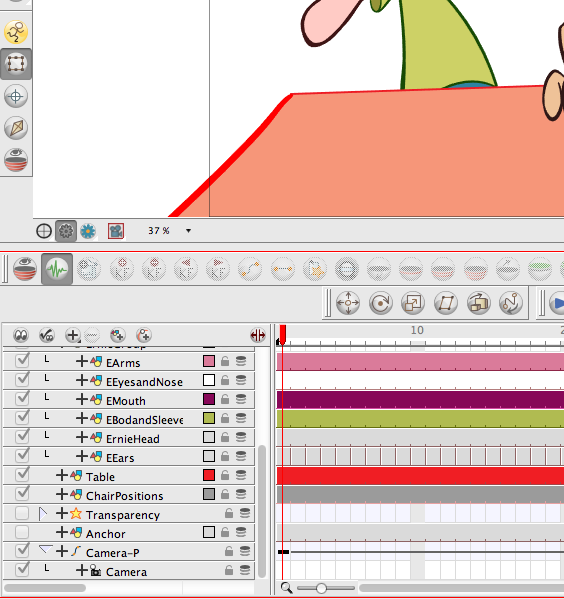 As I do trying to figure out where I am in Toonboom. 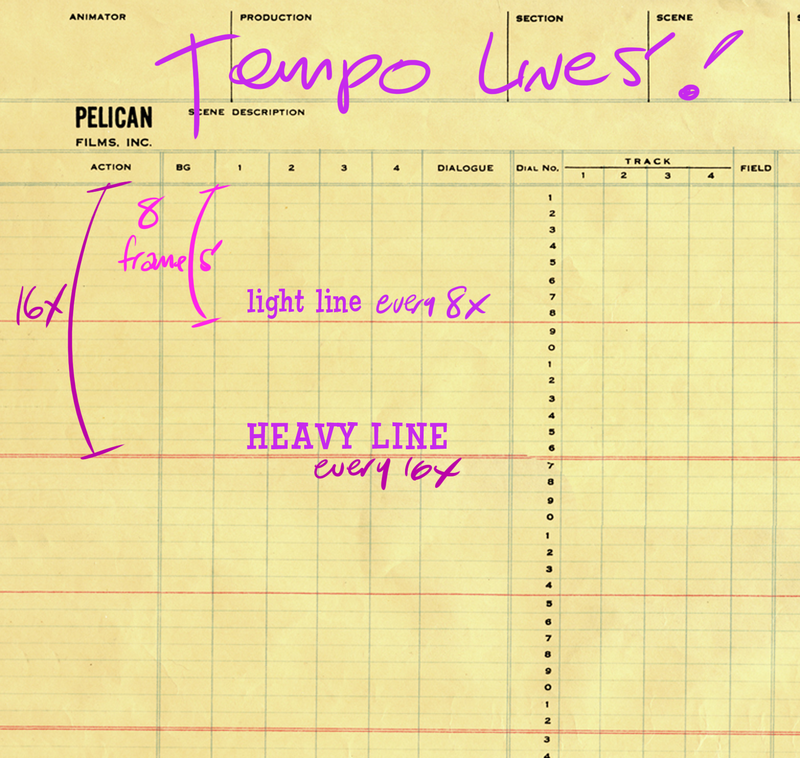 So in music, a bar sheet is a way of measuring big sections of the music and smaller sections. This also makes it easier to be able to tell where you are. 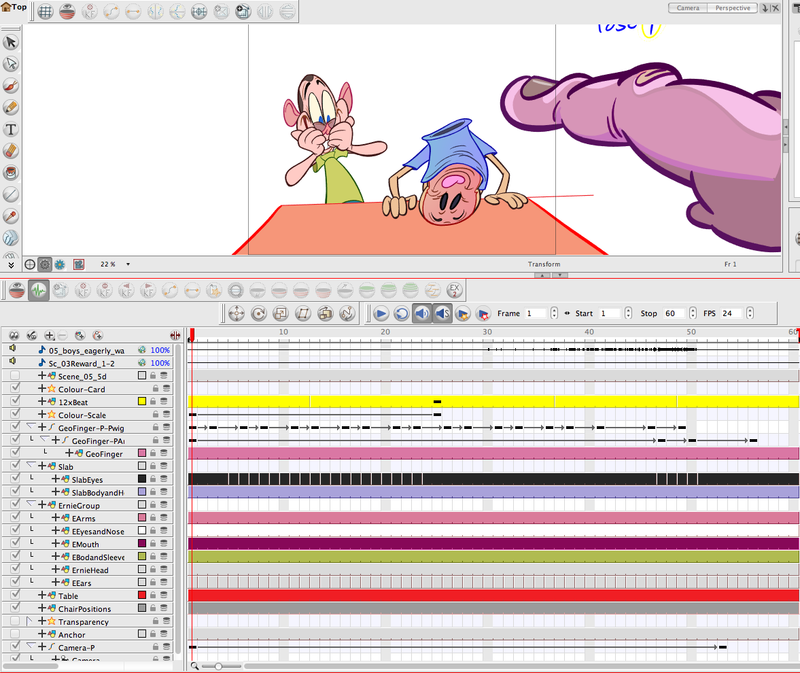 In Toonboom, you have an endless string of individual frames but no markers of bigger chunks of your timing. ...and the more layers and the longer the scene gets, the harder it gets to navigate what you are doing. 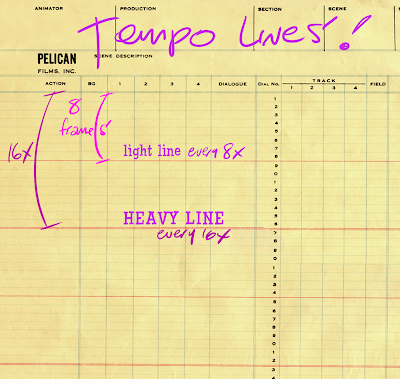 I improvised a temporary way to try to keep track of the scene by using a layer to create my own tempo or 'bar sheet". In this case, it's a 12x beat x 4 beats. see the yellow layer below. This is a half-assed way to do it but it's all we have right now. But once you start opening layers and you enter scrolling hell, even this crude tool becomes useless because it scrolls outside of the timeline's view. The easy FIX: GIVE US VERTICAL MARKERS TO MARK OFF BEATS OR FOOTAGE OR SECONDS. There are lots more bugs and missing essential tools in the programs, and if I find time, I will do more posts. If I had a programmer, I could make this program a hell of a lot easier to use. no way to lock off layers so they don't scroll away out of frame. Can't easily add holds within a scene. You can't select parts of your soundtracks with your synched animation at the same time to keep it in synch when you change timing. You can't move whole chunks of timing in one step (which you can do in Final Cut Easily). Instead you have to open tons of layers and select every single frame on every layer from beginning to the end of the scene and any little inevitable mistake gets everything all out of order. Keyframing torture. You have to make keyframes on frames that AREN'T keyframes before and after the frames that ARE keyframes, so then you end up with tons of extra steps and a completely messy layer that you can't tell where the actual actions are. all of which would be easy to fix if you could just show the solutions to the programmers. If you have figured out solutions to the timeline problems, please comment and share your secrets with the rest of us poor souls.